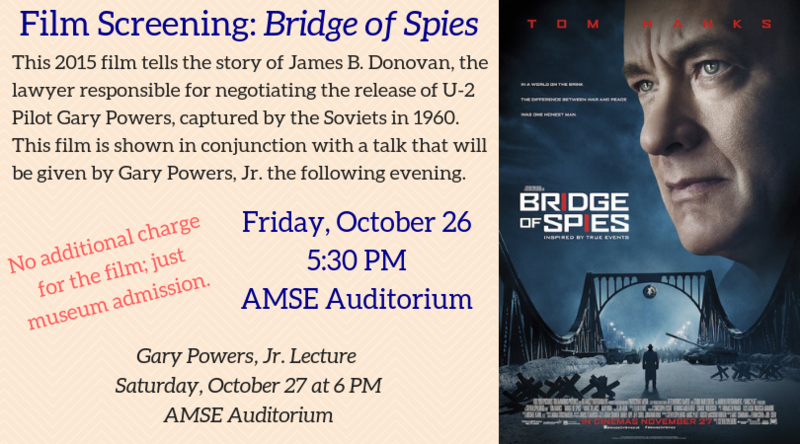 This 2015 film tells the story of James B. Donovan, the lawyer responsible for negotiating the release of U-2 Pilot Gary Powers, captured by the soviets in 1960. This film is shown in conjunction with a talk that will be given by Gary Powers, Jr.the following evening. No additional charge for the film, just museum admission. Film screening in AMSE Auditorium.